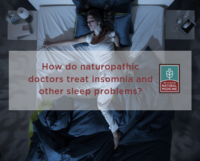 Home / FAQs / How do naturopathic doctors help people manage chronic pain without highly addictive opioids? NDs use various combinations of dietary recommendations and nutritional supplements along with botanical medicines to help reduce inflammation and the pain it causes. These plans take into account each individual’s lifestyle, nutrition, work and leisure activities, current and past stressors, and relevant previous injuries—in other words, the root causes of each person’s pain and all its manifestations. The plans use various combinations of dietary recommendations and nutritional supplements along with botanical medicines to help reduce inflammation and the pain it causes. Exercise, physical rehabilitation, and mind-body approaches that are known to reduce the perception of pain are also included in the plans. Drug overdose is the leading cause of accidental death in the United States. Of the more than 52,000 deaths due to drug overdose in 2015, prescription opioid painkillers such as oxycodone, hydrocodone, codeine, morphine, and fentanyl accounted for about 20,000. Of the 20.5 million Americans over the age of 12 who had a substance use disorder in 2015, 2 million involved prescription opioids. How did this happen? According to the National Institute on Drug Abuse, in the late 1990s, pharmaceutical companies reassured health care providers that people would not become addicted to prescription opioids. As a result, physicians began to prescribe them at greater rates, leading to widespread misuse. Between 21 percent and 29 percent of people who are prescribed opioids for chronic pain misuse them; between eight percent and 12 percent develop an opioid use disorder. Opioids aren’t the only dangerous pain management drug. Numerous studies link aspirin to a broad range of side effects ranging from gastric ulcers to cerebral bleeding. 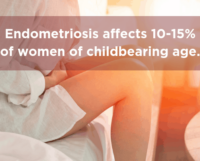 And a growing body of research links ibuprofen to adverse health effects, including increased risk of heart attack and stroke, gastrointestinal complications including ulcer, acute kidney failure, anemia, DNA damage, hypertension, and miscarriage. The Centers for Disease Control and Prevention estimates that the total economic burden of prescription opioid misuse alone in the United States is $78.5 billion a year. 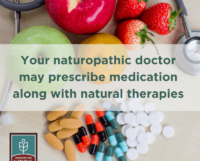 A service for consumers from the American Association of Naturopathic Physicians (AANP) and the Institute for Natural Medicine (INM). The AANP and the INM would like to acknowledge Amy Rothenberg, ND for her contributions to the content of this FAQ. Some of the content for the FAQ appeared in articles by Dr. Rothenberg in the Boston Globe and Huffington Post.